We'll professionally install or improve your residential or commercial landscape. You'll be pleased with our easy-care living space and inviting features. 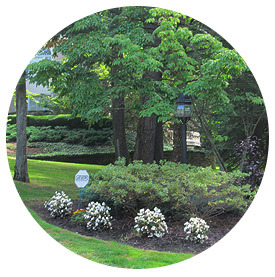 We're an excellent landscape service company with an attention to detail, loyal customers, and a history of referrals. We Go Beyond. We can take your vision and turn it into your luxurious outside living space where you can enjoy your beautiful patio and fire pit with family and friends. 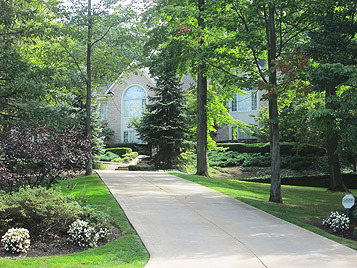 Albanese Landscaping installs and maintains some of the most beautiful properties around. 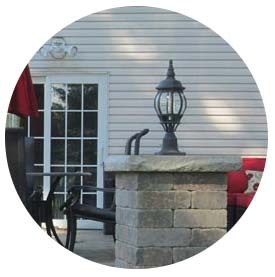 We are a family business providing full-service landscaping, hardscape and maintenance. We serve Willoughby Hills, Concord, Kirtland, Kirtland Hills, Hunting Valley, Moreland Hills, Gates Mills, Waite Hill, Pepper Pike, Highland Heights, Mayfield Village, and the surrounding areas in Lake, Cuyahoga and Geauga counties. We have a loyal client base and a great reputation for our landscape service. Albanese Landscaping provides a personal, honest and high quality service which sets us apart from our competition. Our name is on our truck - our word and our handshake mean everything. We can provide you with a full range of services, from creative landscape design to installation of patios, walkways, firepits and flowerbeds that will make your property easy to maintain, fun to live in and gorgeous to behold. Copyright © 2019 Albanese Landscaping & Design, Inc.